A photograph of Barnum's American Museum, New York City. Cabinet's of Curiosity were popular in Europe at least from the mid 1500's. They combined a fascination with the collection and display of items of art, culture, science and oddities collected from around the world. These collections of curiosities originated in the hands of the rich and elite. They spread to North American with the arrival of European settlers. Just as the elite of Europe reveled in showing off these collections, so too did the exhibition of unusual items develop as a show business igniting public fascination in science and the unusual. P.T. Barnum is believed to be one of the first Americans to capitalize on the show business aspect of the "curiosity" kind of entertainment. Many cabinet's of curiosity operated as dime museums. Barnum, having acquired a large collection of curiosities from all over the world, opened the American Museum in 1841 in lower Manhattan. Beginning with physical artifacts, his idea blossomed into a much farther reaching idea of public entertainment. In 1810, John Scudder opened his Dime Museum to the public with $50,000 worth of artifacts as well as many displays originally given to him as gifts. 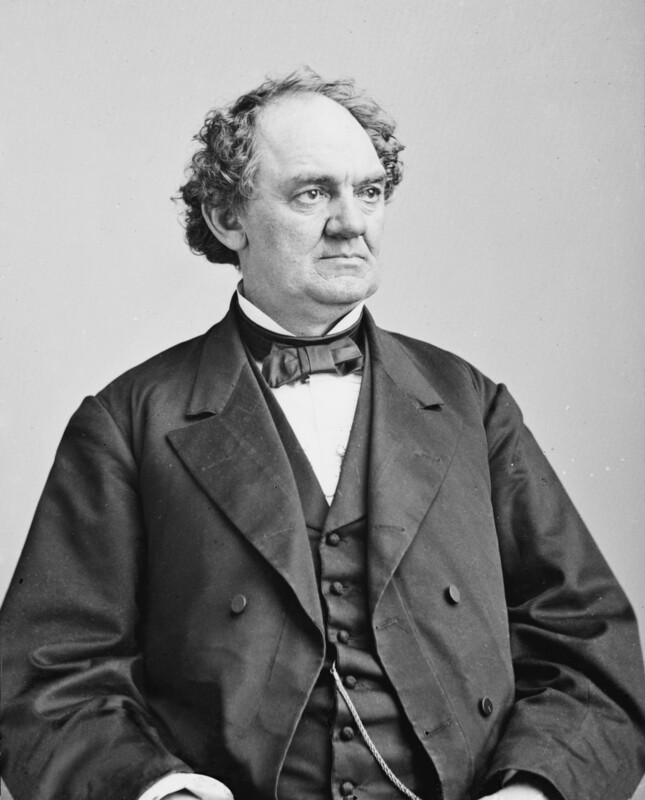 Barnum bought Scudder's Museum in 1841. Scudder's Museum contained a jumble of artifacts and oddities from around the world. 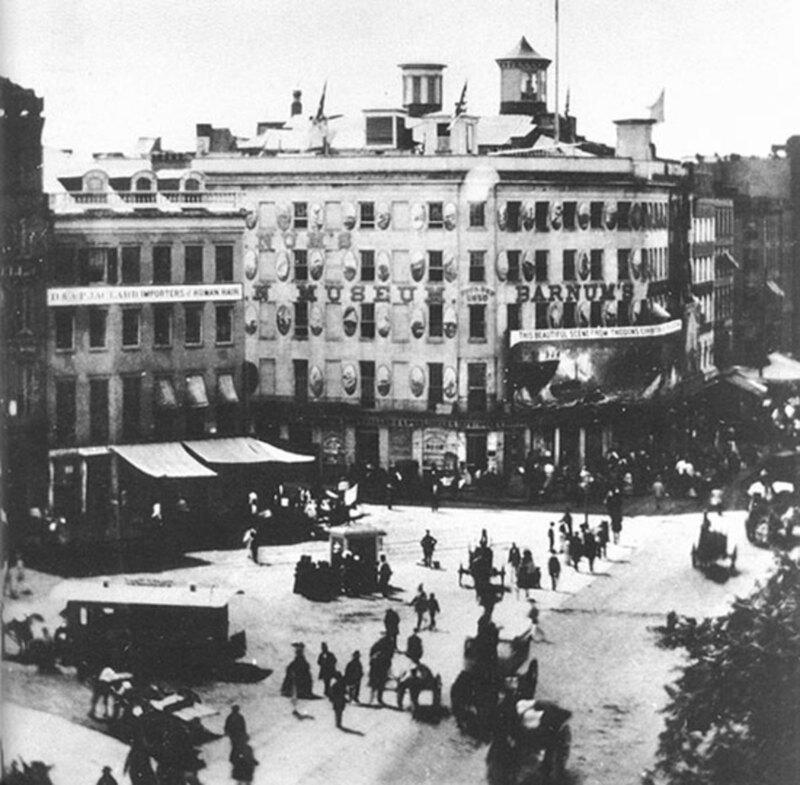 Barnum's first museum was located at the corner of Broadway and Ann Street, from 1841 to 1865, across from St. Paul's Church in lower Manhattan of New York City. 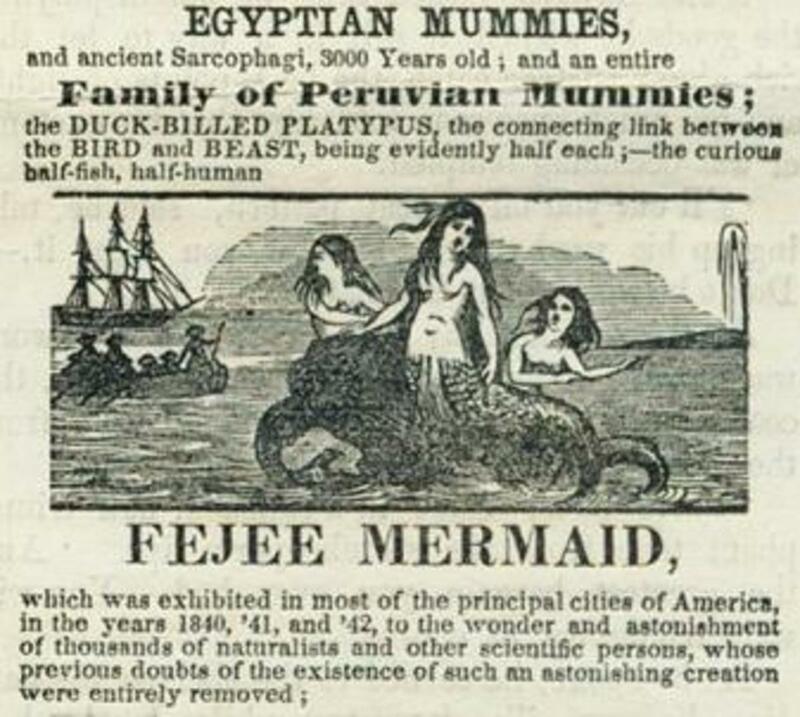 In 1842 he obtained the Feejee Mermaid. Later in 1842, Barnum met Charles Sherwood Stratton, 4 years old at the time and a midget whom he called General Tom Thumb who starred at the American Museum and with Barnum for four decades. In 1843, Barnum purchased Charles Wilson Peale's museum collection after its closure, having been in operation since 1788. 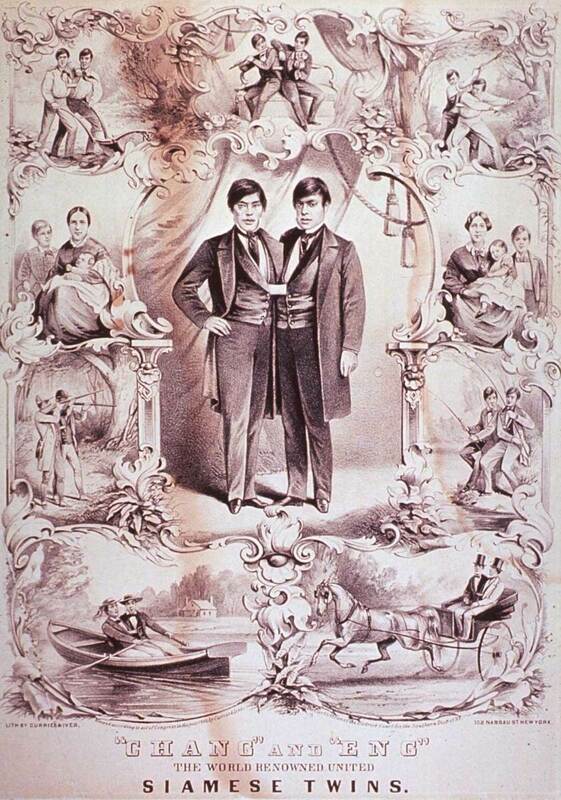 In 1844, Barnum and Tom Thumb had an audience in England with Queen Victoria. In 1850, Barnum introduced the Swedish opera diva Jenny Lind to America. She performed her first American concert on September 11, 1850 at Castle Garden. 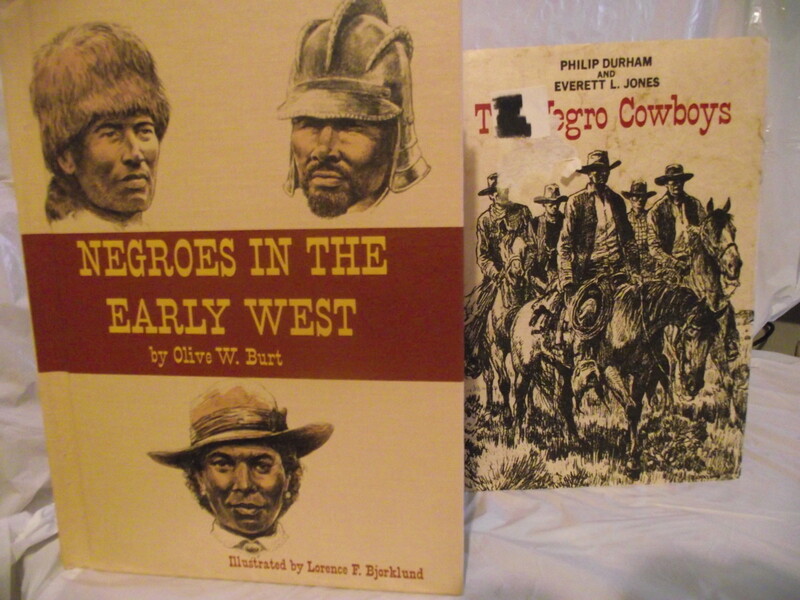 In 1854, Barnum published his autobiography, "The Life of P.T. Barnum." 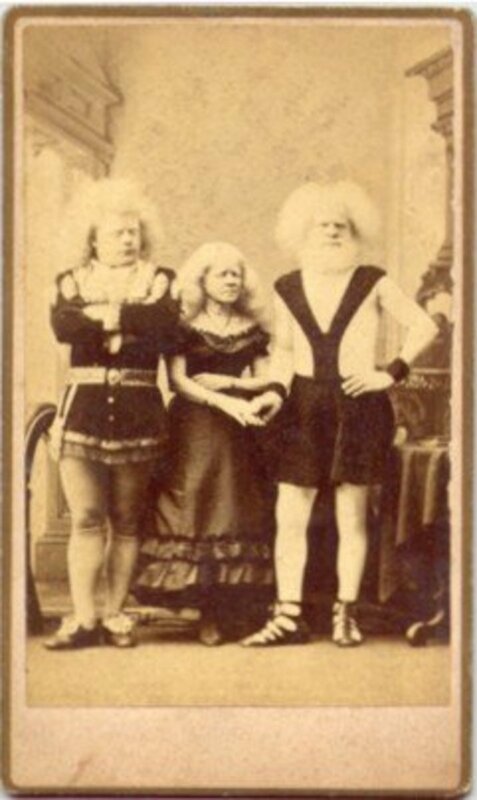 In 1857, during a visit to Amsterdam, Barnum discovered Rudolph Lucasie and his Family, albinos of African descent who worked for Barnum as 'living curiosities' in his American Museum and later in his Circus. On July 13, 1865, the museum burned to the ground destroying the vast collection. 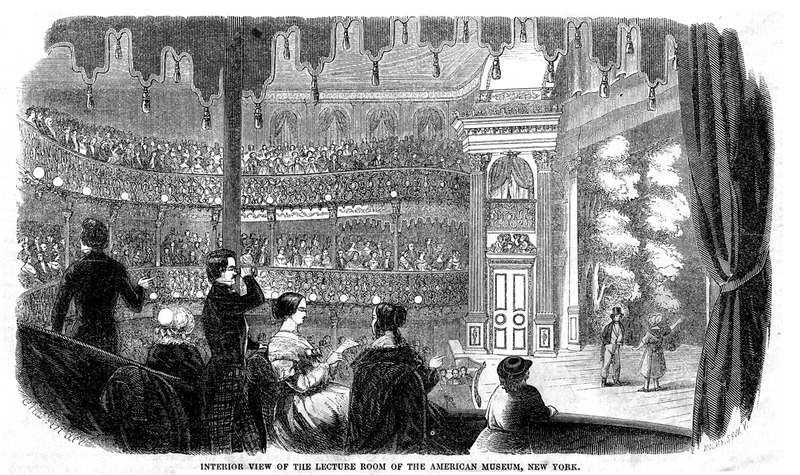 In that same year, Barnum opened the New American Museum on Broadway, between Spring and Prince Streets. This museum also burned to the ground in 1868 on a winter day so cold that the water in the firemen's hoses froze. The garish facade of the museum enticed patrons into the museum. Flags from around the world as well as paintings of important zoological specimens hung outside the museum. An orchestra played loud, discordant music to drive patrons inside the Museum. In addition to the physical displays, the museum also sold souvenirs as in present day museums including post-cards of exhibits. The museum housed a number of exhibits including artifacts and living specimens and for a 25 cent admission price, middle class patrons could view displays from the bizarre, to the educational including exhibits of natural history seen in its aquaria and menageries; as well as history in its paintings and wax figures and finally reform and drama in the Shakespearean plays and morality dramas shown in the theatre. The basement of the museum contained a large tank that housed hippopotami and beluga whales. The more elite patrons were appealed to with Peal's paintings of birds and animals. morality plays including biblical tales and an adaptation of "Uncle Tom's Cabin"
Charles Stratton, a 3 foot-tall boy he renamed Tom Thumb. 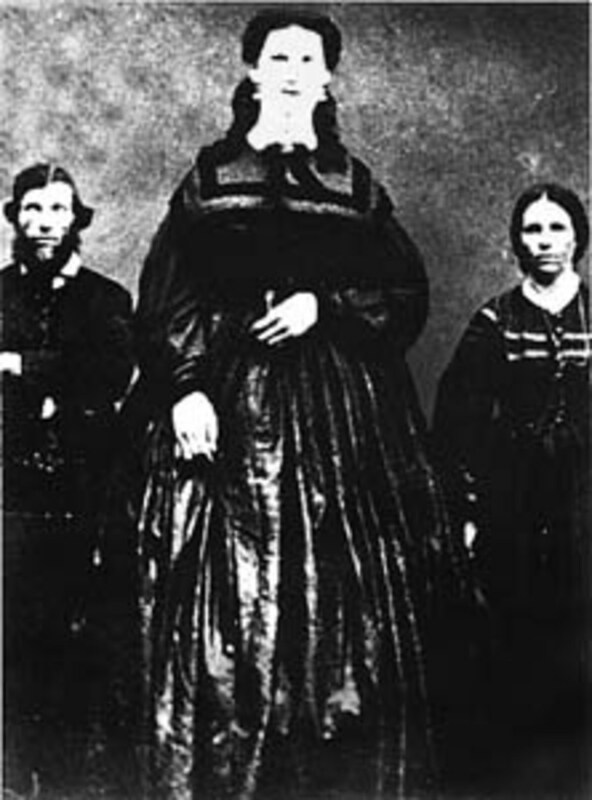 Josephine Boisdechene, the bearded lady. William Henry Johnston, billed as Zip the Pinhead who was displayed as a bizarre missing link. P.T. Barnum was one of the greatest showmen on earth. He took the concept of the dime store museum and transformed it into a hugely successful venue using people's love of drama and the unusual. His business panache which included his model of pay-per view shows figured significantly in the successful development of the Dime Museum as well as the modern-day municipal museums. After his second museum was destroyed by fire, he applied his showmanship and love of the unusual and flamboyant to the business of the circus sideshow. Even today, the Ringling Brothers, Barnum and Bailey Circus comes to Madison Square Garden every year. Location of "P.T. Barnum’s American Museum from 1841 to 1865. Location of P.T. 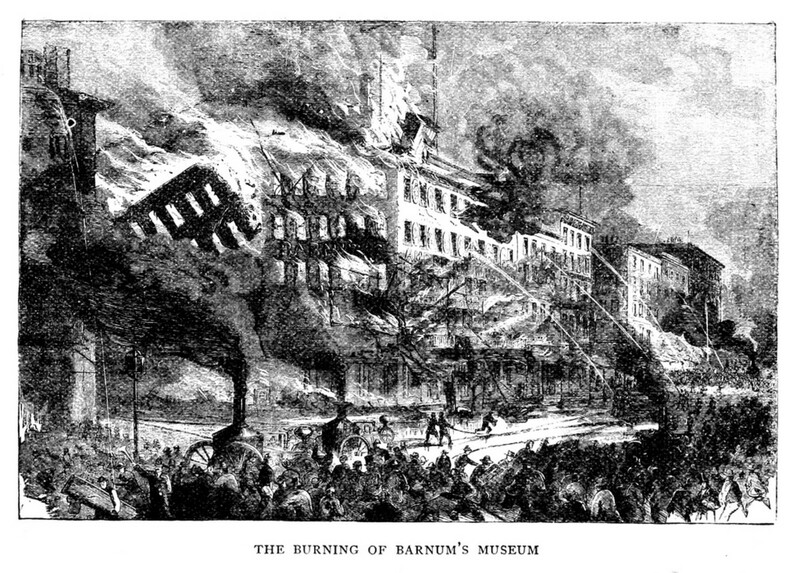 Barnum's second American Museum which also burnt to the ground in 1868. 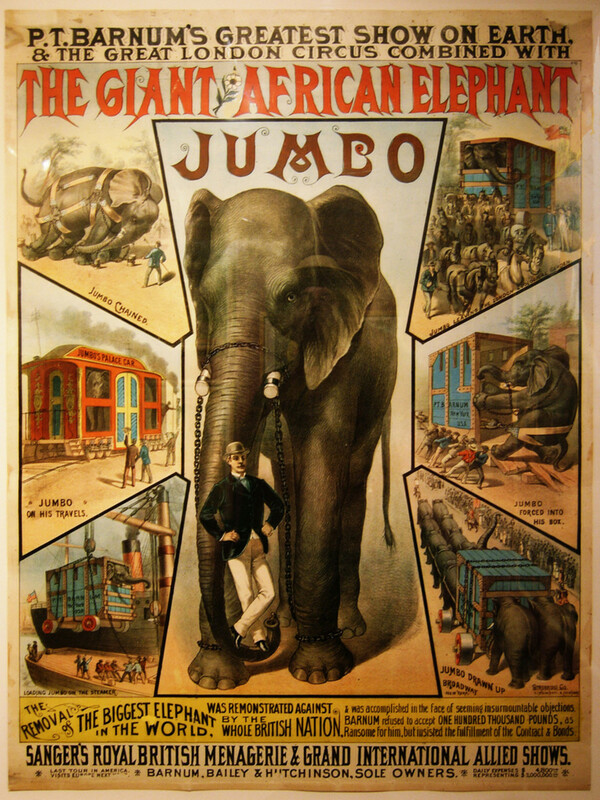 Visit www.ashp.cuny.edu/LM and take a 3-D tour of the Barnum's American Museum or browse the museum archive. American Social History Productions Inc. The Barnum Museum. The Lost Museum. 2002-2006. Strausbaugh, John. When Barnum Took Manhattan. The New York Times. November 9, 2007. Wikipedia. Barnum's American Museum. Wikipedia. January 1, 2013. Yamada, Takeshi. (penned by Dr. Eriko N. Bond). Takeshi Yamada On The Art of the Cabinet of Curiosity. 2007. Laercio, thank you so much.i am so glad you enjoyed it! 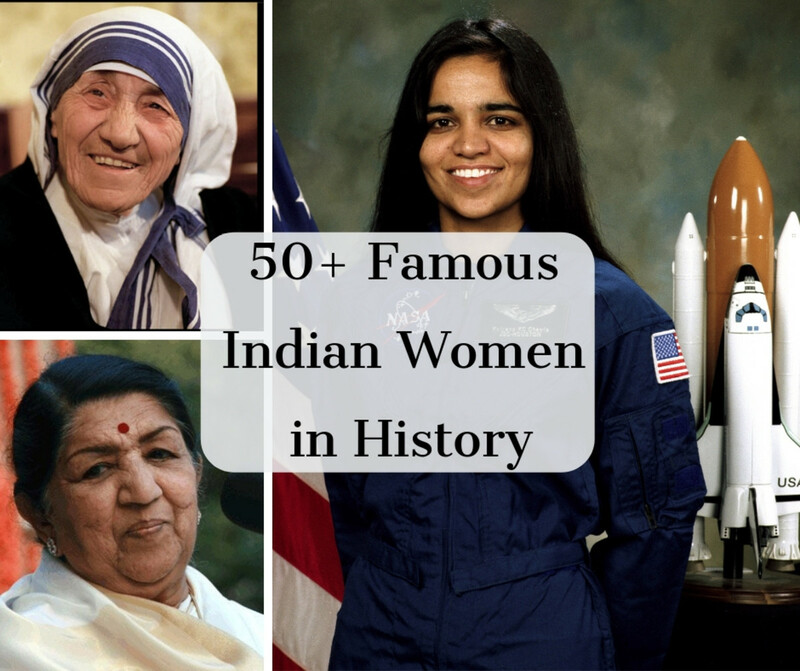 Hello Teresa, fantastic story, congratulations. RaksTheBlogger , thanks for the visit. So glad you enjoyed my hub!! 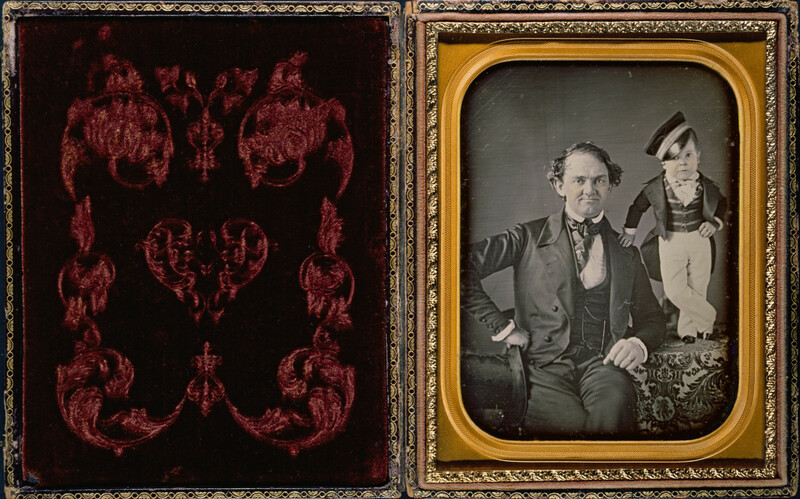 LiahTurner , Barnum certainly was a man of many talents and interests. He knew his audience well and capitalized on that knowledge. So glad you enjoyed the hub! Kathryn Stratford, glad you enjoyed the hub. I too knew of Barnum's fame in the circus world but was surprised to discover he began with 'Cabinet's of Curiosity''. It was an enjoyable piece to research and write and I am so pleased that many are finding it equally as interesting. sarifearnbd, thanks so much for the compliment. I am so happy you found the hub interesting. rose, he was a brilliant man indeed. The museums of today owe him a debt of gratitude for making 'collections' of history a means of entertainment even if his weren't always above board! whonu, so glad you enjoyed this piece. Barnum certainly was attuned to the "attractions" that would bring in the crowds. What a way to spend the day and be fascinated by the unusual. mary615, I too would have loved to visit this museum. The strange and unusual has always held a strong fascination for me. Thank you for sharing the article. I am honoured you enjoyed it so much! So glad you enjoyed this hub pinto. I had a great time compiling the research! 5 years ago from Greetings From India! Fantastic hub that!Great job ! This is a wonderful account of this museum. It must have been particularly fascinating back in its early days. I was going to say that it reminded me of the circus sideshows of old times, and I wondered if he's related to the Barnum of "circus fame". Then I looked back at the section I browsed over a bit too fast, and noticed you stated he is that very Barnum. Very cool! I didn't know he had museums. This is a very interesting read, and congrats on winning HOTD! Hi there! What a fantastic read this was! I was glued to the paragraphs from start to finish. Wow! I found this article very captivating. It has always fascinated me how people have always been so curious about the strange and unusual. P.T. Barnum certainly knew how to capitalize on this. Great article! Thanks for sharing. Congrats on HOTD. You did a lot of research and hard work on this article and it shows. I would loved to have gone to Barnum's museum. You have unfolded a whole era with this post. I have done a fine detailing of this subject. Great to go through this hub. smallbizloandepot, glad you enjoyed the hub. I really enjoyed the research for this one! Jared, thank you so much for the kind words. 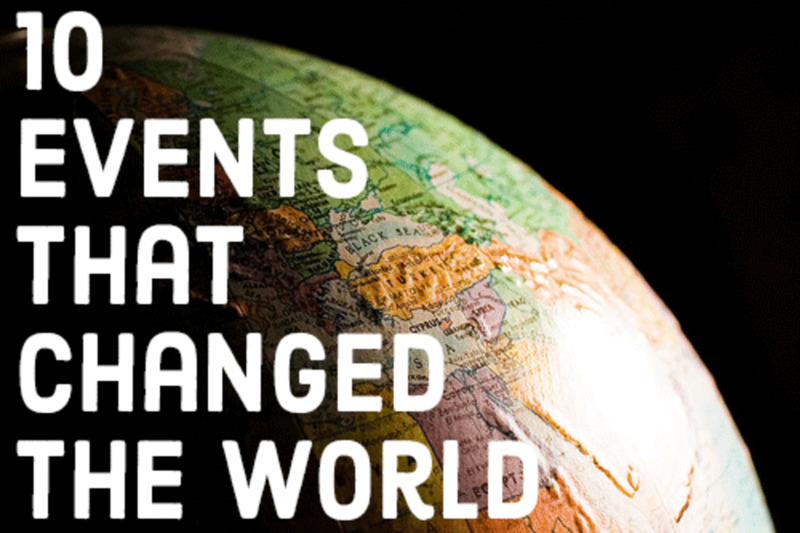 History and science are my two favourite topics and I am so happy you enjoyed this hub. The idea for this hub came from reading a murder mystery revolving around cabinets of curiosity of which Barnum's was most famous. awesome post...love the photos. historic photos are my favorite. He had very strange exhibits, and my favourite would probably be the tree Jesus' disciples apparently sat under! It would be very fascinating to visit. epigramman, I am so thrilled you enjoyed this hub. I was reading a fiction novel about the subject of curiosity cabinets and happened upon an exclusive title asking for information on the very same thing. Yes, I've about come to the end of my tolerance for winter, especially the all too grey days. Today was a nice sunny change but I am so looking forward to green grass and the new sprouting shoots. Your time is our time! At 7:16pm is just getting darker. The longer days make me hopeful for spring. All the best my Canadian friend! Well lucky me, my fellow Canadian, to be the first one to comment on such a world class hub presentation and I simply marvel at the lovely and eclectic selection of hub subjects that you offer. This is a fascinating and intriguing trip down memory lane with your great eye for detail and facts. Thank you so much for your efforts here. It is much appreciated by me and I am sending you warm wishes and good energy from cold snowy lake erie time ontario canada 4:17pm courtesy of Colin and his cats. How has your winter been so far? Had enough? lol Spoken like a true Canadian , eh!